There are hundreds and hundreds of miles that now lay behind us in this journey to the Milwaukee's West. Alcazar is located 1467.5 miles from Chicago's Union Station, along these shores of the Jefferson River, winding along with the remains of the Northern Pacific. 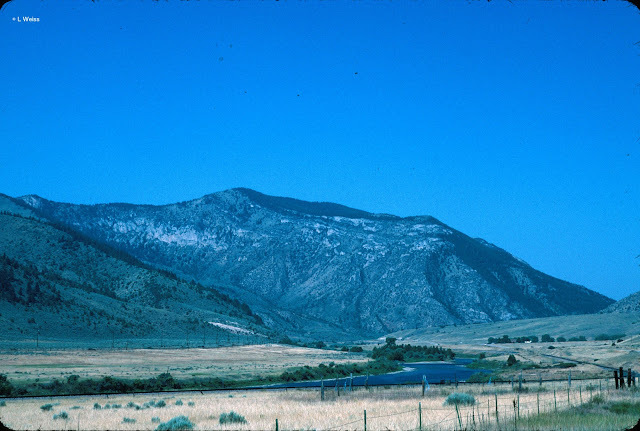 Like many of the haunts that have rolled by in the run west, it is a name with no place - lying both in the shadows of the Rockies and the fading memories of a Nation. Here the Rocky Mountains loom ever closer and rise ever higher. They are aloof and unattainable but ever present and mighty. The Continental Divide lies ahead and so does the inevitable throttle-up that will hoist tonnage to the top.